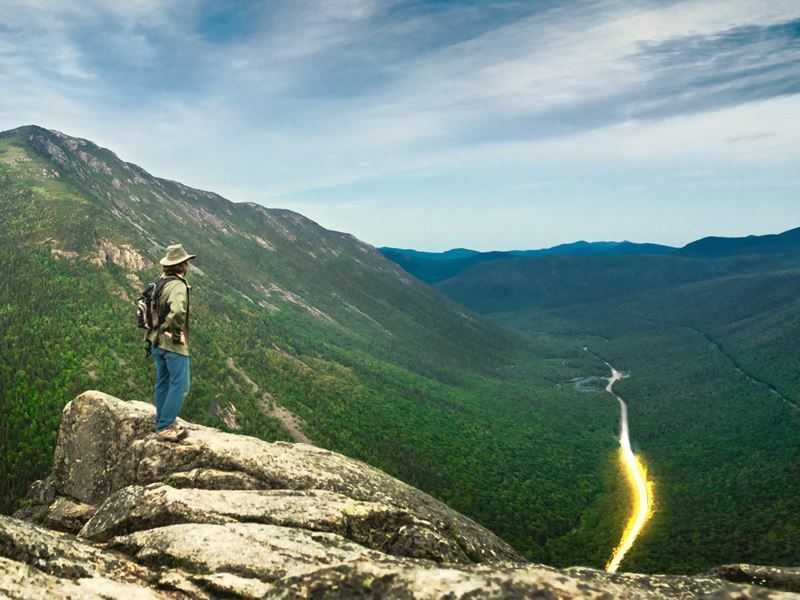 With such diverse terrain, including everything from rushing rivers and countless lakes, dramatic mountains and rugged shoreline, New Hampshire draws all sorts of visitors who want to experience the best of the Great Outdoors. In this state, there is something for everyone of all ages and abilities, when it comes to getting out and enjoying one of nature’s most exciting and scenic outdoor playgrounds. What: From the coast to the nearly 1,000 natural lakes and reservoirs, New Hampshire is a fishing enthusiast’s dream. The waters within three miles of the coast provide important habitat for multiple species. Shellfish, including blue mussels, oysters and softshell clams, call the inshore waters home, and commonly recreationally harvested species also include lobster, haddock and Atlantic cod. In the state’s lakes, rivers and streams, just a few of the species that can be caught with a little patience and good luck, include rainbow and brook trout, landlocked salmon, bluegill, smallmouth and largemouth bass, walleye and more. 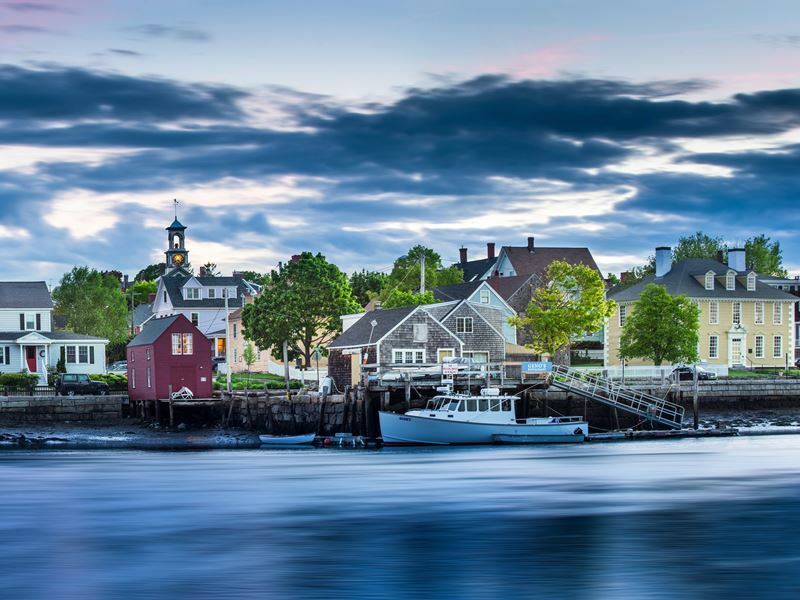 Highlights: Portsmouth, one of America’s oldest cities, settled in 1623, is a great place to base yourself for deep sea fishing on the Atlantic. Sea Amber Charters offers both inshore and offshore trips on the 30-foot Grady White where you can cast a line for striped bass, tuna, shark, bluefish, cod and haddock on a full- or half-day excursion. If you’re looking for outstanding lake fishing, head to the White Mountains. North Conway and the Mount Washington Valley is renowned for its world-class trout fishing, and the local bass fishing scene is top-notch too, particularly at Conway Lake, although there are multiple bodies of water that are easily accessible for fishing, from the shore, a kayak, canoe or other watercraft. What: While the Granite State may not be famous for golfing, it is home to 90 public, semi-private and resort courses, with each one offering something unique of its own. You can look forward to teeing off among impressive scenery, with many courses sitting at the base of a soaring mountain, at the edge of a lake or overlooking quintessential New England jewels, like a covered bridge or dense forest. Highlights: Mountain View Grand Resort & Spa in Whitefield boasts an historic 9-hole golf course that’s surrounded by mountains, while Bretton Woods is home to the Omni Mount Washington Resort, providing an unforgettable golfing experience on award-winning 18-hole and a 9-hole championship golf courses. 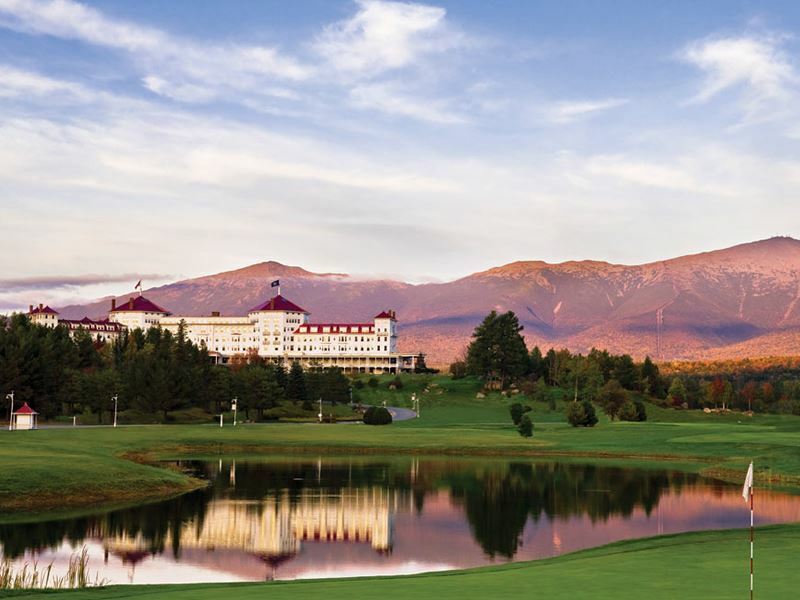 The 18-hole Mount Washington Course has an awe-inspiring Presidential Mountain Range backdrop, with especially impressive views of the resort and mountains from the 11th- and 5th-hole. What: With an abundance of lakes, rivers and a slice of Atlantic shoreline, all of that water also makes this state a paddler’s paradise, and you don’t need to have your own vessel to take advantage of it. Many of New Hampshire’s state parks offer rentals, and they’re relatively inexpensive too. You’ll have the chance to spot a diverse array of wildlife among the exceptional scenery, including everything from the majestic bald eagle and common loon to the wood turtle, beaver, and the great blue heron. Plus, kayaking and canoeing during medium or low water periods in the summer is something that can be enjoyed by nearly everyone. Highlights: Franconia Notch State Park, in the heart of the White Mountain National Forest, is home to Echo Lake Beach, where visitors can soak up the striking beauty of the 39-acre lake from the sand, and then rent a canoe or kayak from the Lakeside General Store to float atop the water for a different perspective. 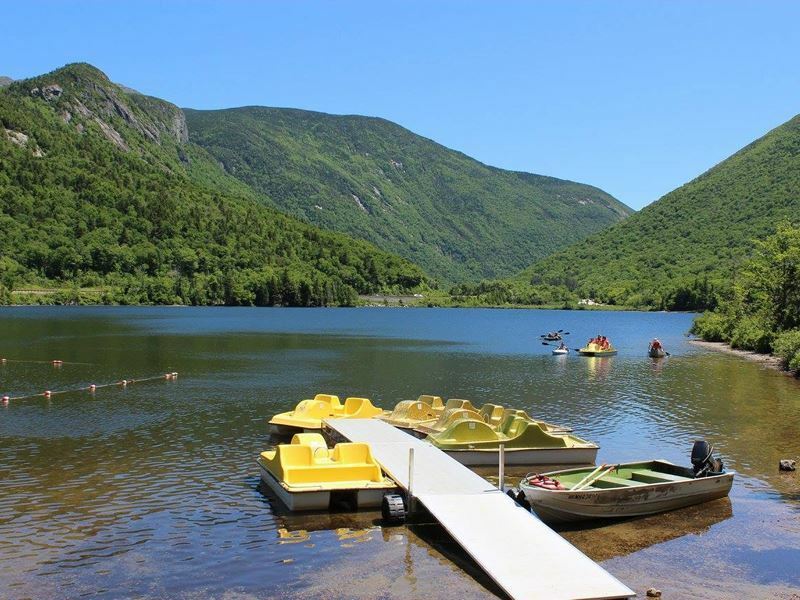 White Lake State Park is famous for offering some of the best swimming in the White Mountains, in addition to offering canoes, kayaks and other non-motorised watercraft from rent at its campground. 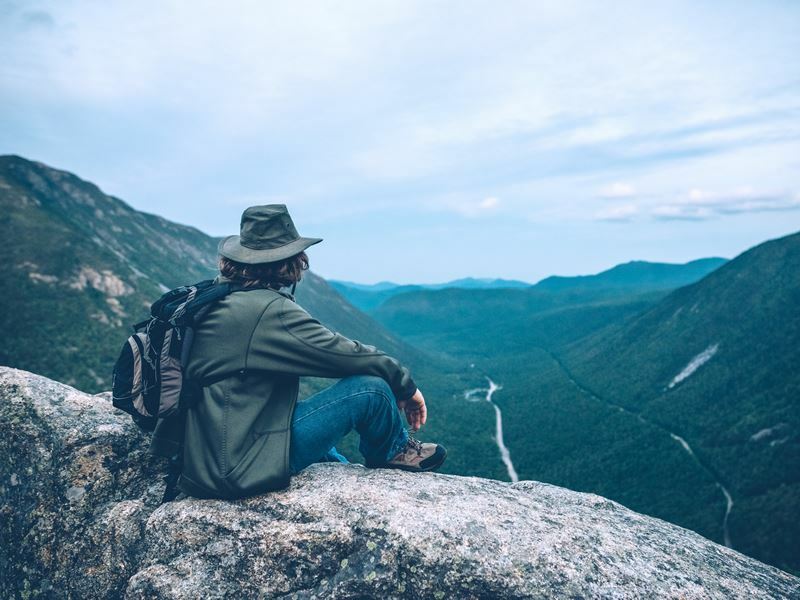 What: One of the most popular active pursuits in New Hampshire is hiking, with a wide range of opportunities available from gentle strolls through salt marsh to easy kid-friendly mountain treks and plenty of bigger challenges as well. The cascading waterfalls, bubbling brooks, mountain valleys and spectacular overlooks make hiking here an especially rewarding experience. Highlights: The Basin-Cascades Trail offers some of the biggest rewards for the effort, with the easy two-mile trek considered one of the best hikes in the White Mountains. It begins at one of the most impressive, and the largest, glacially carved potholes, following Cascade Brook, passing Kinsman and Rocky Glen falls, as well as a series of smaller falls, potholes and rapids. The breathtaking waterfalls of Diana’s Baths are located just minutes from the town of North Conway, accessible via a relatively easy .6-mile flat, wide gravel path. After the short hike, you can meander up the granite terraces to view a fabulous array of pools, waterfalls and boulders upstream. The Mount Pemigewasset Trail allows visitors of nearly any fitness level climb to the top of a mountain peak, with the trek leading to the 2,500-foot summit of Mount Pemigewasset at the southern end of Franconia Notch. Not only are the views from the top absolutely stunning, the hike itself is good for children and those who aren’t in tip-top shape, as it never gets very steep, and it’s just 3.6 miles round trip. 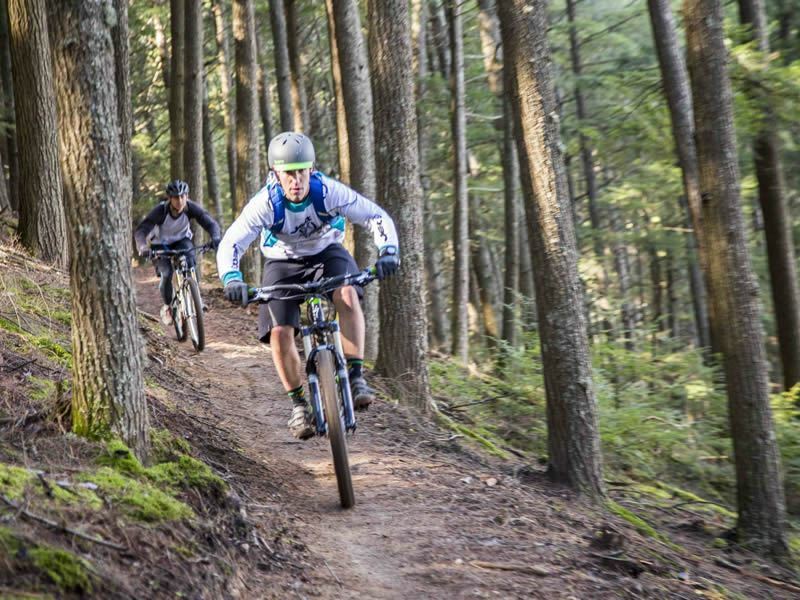 What: Whether you’re looking for mountain biking, off-road cycling, the chance to tour country roads or roll across paved waterfront paths, New Hampshire offers something for everyone that wants to get out and explore on two wheels. There are hundreds of miles of trails to be found in the state parks, White Mountain National Forest and beyond, suitable for gentle, leisurely rides as well as more challenging jaunts. Highlights: The Cotton Valley Rail Trail is considered one of the northeast’s best tracks-turned-bike-paths, stretching from Wolfeboro to Sanbornville for a fantastic glimpse at the beauty of the Lakes Region as it meanders past Lake Winnipesaukee, Crescent Lake, and Lake Wentworth for a total of 12 miles round trip. If you’re looking for something shorter, take the 3.8-mile out-and-back route which includes the highlight of the trail: Allan H. Albee Beach where you can cool off with a refreshing swim. The 5+ mile Winnipesaukee River Trail traverses along its namesake river, linking the towns of Franklin and Tilton-Northfield while passing through a unique covered bridge - it’s upside down and is believed to be the only one like it in the entire country, as well as being listed on the National Register of Historic Places. The more adventurous might want to consider the 11-mile singletrack Bear Brook trail, renowned for its elevation changes and incredible scenery. 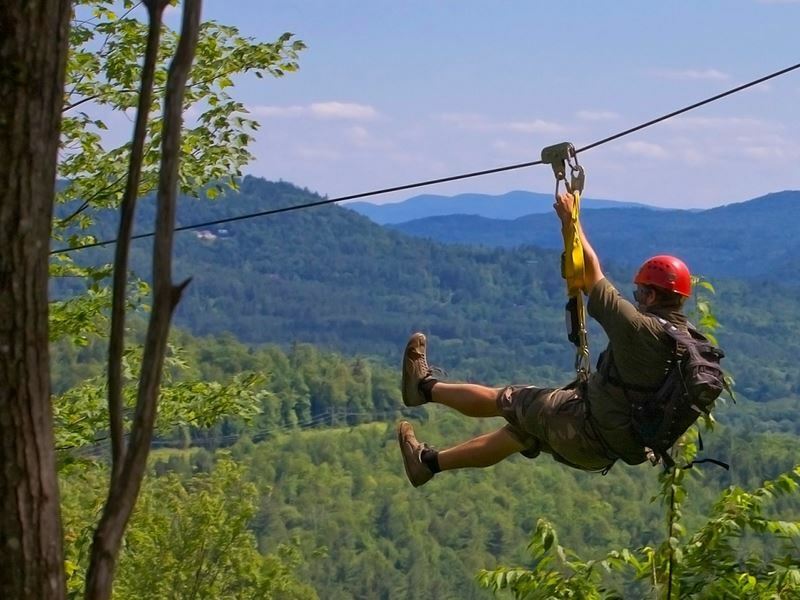 What: If you want to take in New Hampshire’s gorgeous scenery from a thrilling bird’s-eye view, go on an exhilarating zipline, where you can experience the adrenaline rush as if you had your very own wings, soaring over the state’s lush forest-covered mountains and sparkling lakes. Highlights: Hold onto your helmet and get ready to descend more than 1,000 feet of elevation on the Bretton Woods Canopy Tour, one of the longest canopy tours in the continental U.S. The ziplines are connected by hiking trails and suspension bridges, for an especially unforgettable ride. Alpine Adventures is the original New Hampshire zipline canopy tour, featuring three different courses, all with amazing White Mountain Views. It offers an outstanding course for first-time zippers as well as an extreme tour for a bigger challenge, higher speeds and greater thrills. What: While there are plenty of inland lakes for boating, why not take to the sea? Rentals are available, but if you don’t have experience, there are a wealth of boat tours that will get you out onto the Atlantic, with excursions to suit every budget and interest. 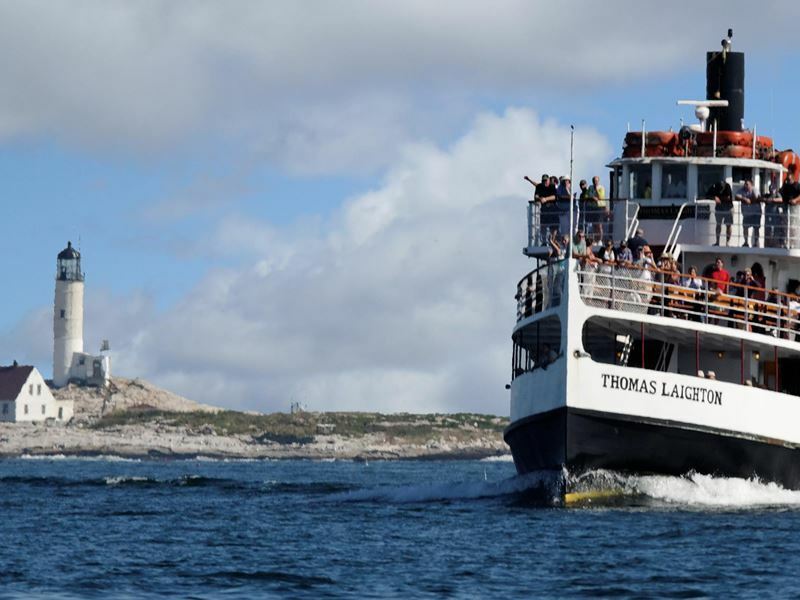 There are whale watching tours, harbour and island cruises, historical tours aboard a steamship and more. Plus, you’ll get the chance to spot wildlife underwater and overhead, along with exceptional, uninterrupted scenery. Highlights: Take one of the Isle of Shoals Steamship Tours aboard the Victorian-style M/V Thomas Laighton from Portsmouth, and you can hear tales about pirates, buried treasure, ghosts, lighthouses and more. There are whale watching trips, sightseeing tours through the harbour and out to the Isle of Shoals, and even a “Party Ship” which includes dancing to local bands and DJs, as well as theme nights, drink specials and more. Portsmouth Harbour Cruises offers a variety of fun cruises too, including a sunset/wine cruise that features unique wines and more. What: If you’ve never driven an all-terrain vehicle (ATV), you’re in for a treat, because New Hampshire is one of the best places to experience this sport for adrenaline junkies. The state is considered the epicentre for ATVing in New England, with a vast network of trails that span more than 1,200 miles – and, as some 85 per cent of the state is covered in lush forest, not to mention being filled with countless geological wonders, it offers the ideal way to get into the hidden corners of its pristine wilderness areas. Highlights: Just a few miles outside downtown Berlin, Jericho Mountain State Park, boasts over 80 miles of off-road trails, as well as access to the Ride the Wilds Trail System, the longest trail system of its kind in the nation, with more than 1,000 miles of interconnected trails. While enjoying the thrill of the ride, you’ll have the chance to spot wildlife and view impressive scenery as you travel through the woods and over the mountains on dirt trails. 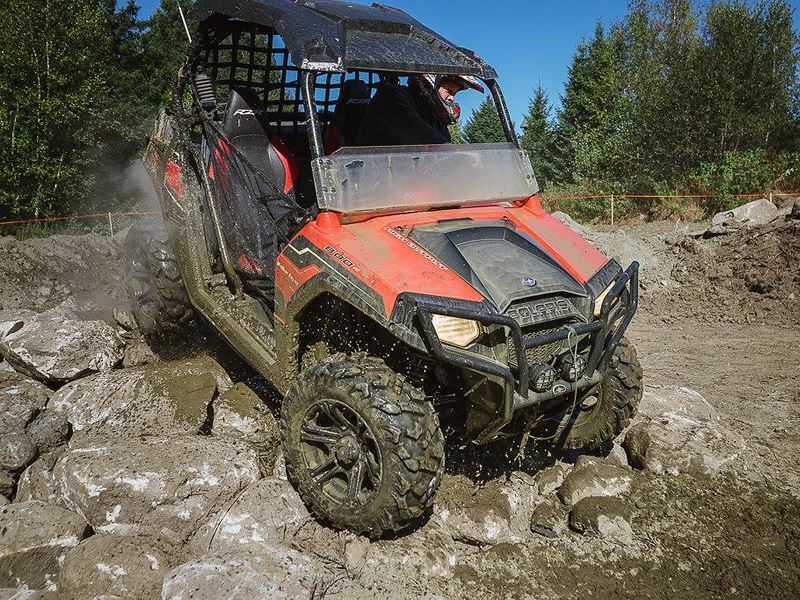 Bear Rock Adventures offers ATV rentals, allowing riders and passengers to hit the Ride the Wilds trails, all the way from Pittsburg down to the Gorham-Berlin area, including Jericho Mountain. What: With all of that water, it’s no surprise that whitewater rafting is another popular outdoor adventure in New Hampshire, and of course, the White Mountains is where you’ll find some of the best white water for the sport. The rivers that flow through this upland region provide the ideal conditions, and it’s a family-friendly activity that just about everyone can enjoy, with the help of the region’s expert outfitters. Highlights: The 17.2-mile long Androscoggin River is perfect for those who want to try navigating their own raft, as well as for families with small children and just about anyone who wants a fun paddling experience, thanks to its Class II/III rapids. ELC Outdoors offers this half-day excursion where participants have the chance to make multiple runs. 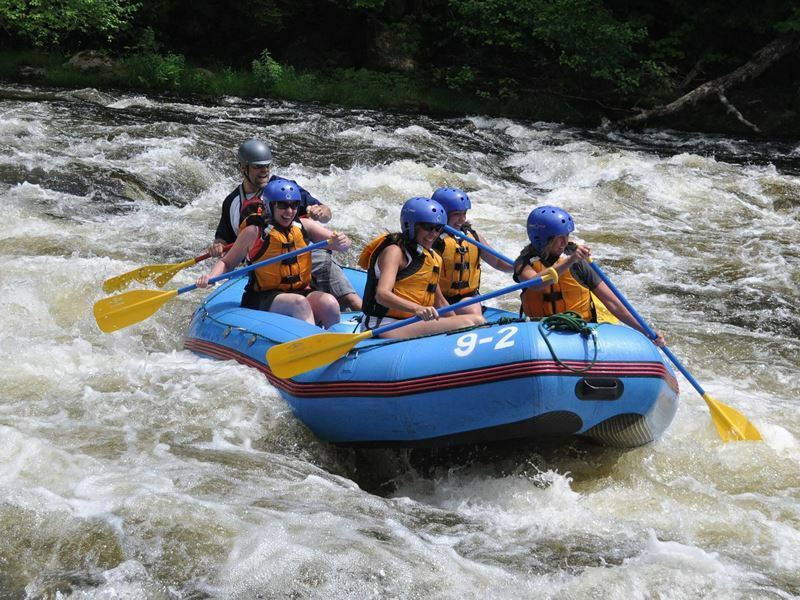 North Woods Rafting is another option on the Androscoggin River, providing a total adventure that includes a BBQ afterwards, and the chance to add other experiences, like trail rides. 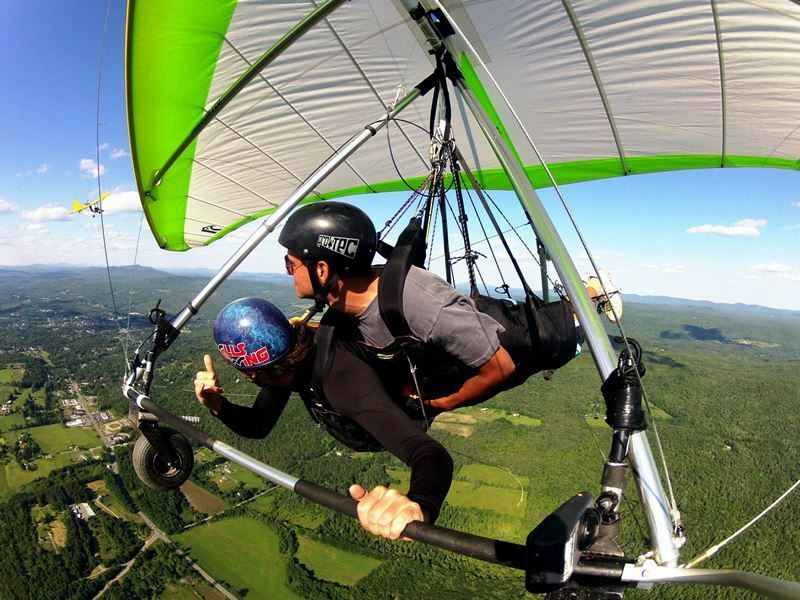 What: New Hampshire is home to some of the best hang-gliding, paragliding and powered paragliding in the northeast. These exhilarating adventure sports offer an experience of total freedom and pure joy, making your dream of flying a reality, while providing a unique and unforgettable view of the landscape below. Hang gliders and paragliders both fly slowly, and descend even slower than that, as well as being relatively easy to control in the air, which makes either option extraordinarily fun, even for the average person. Highlights: While there are a wealth of accessible spots throughout the White and Green Mountains, Morningside Flight Park in Charlestown is arguably the best place to begin. You can take an intro hang- gliding lesson that includes being suspended in a simulator first, to get familiar with the feel, or try paragliding where you’ll work on gradually progressing until a launch results in flying off the grassy training slope. Powered paragliding is an option too, and the easiest way to make that dream of flying come true.